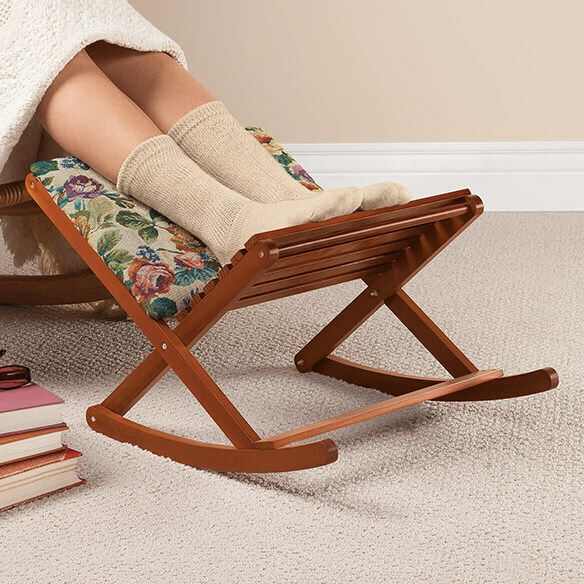 The rocking footrest that moves with you is now even better, with extra width and height and 2 fabric choices! 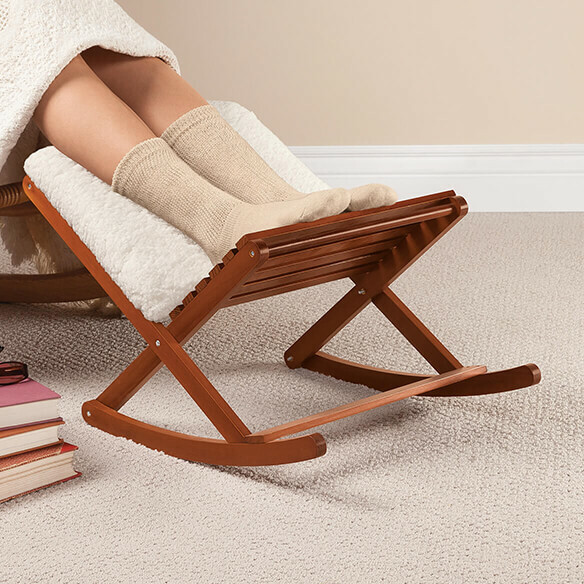 You’ll love kicking back and relaxing as the padded side cradles your calves and the wood side supports your soles at the perfect angle. Choose from elegant floral tapestry or soft and cozy sherpa. 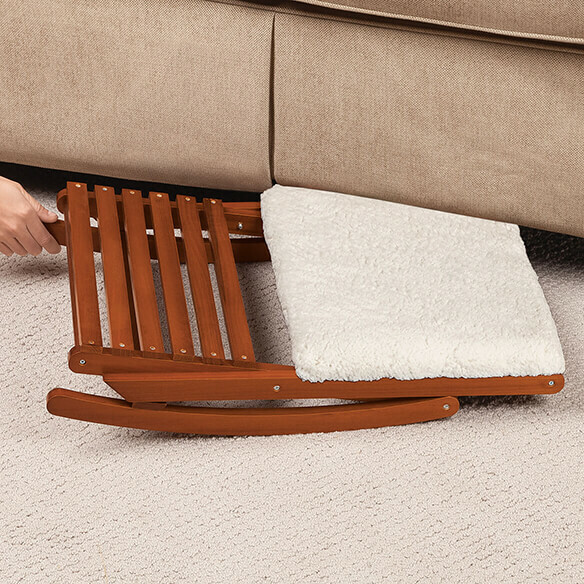 Sturdy wood frame folds flat for easy storage. 24”L x 16”W x 14 1/2”H when open. I like the way it also holds the backs of your legs. looked like a good product. Been wanting this a long time - couldn't find it anywhere! This will turn my sofa into a bit of a recliner. 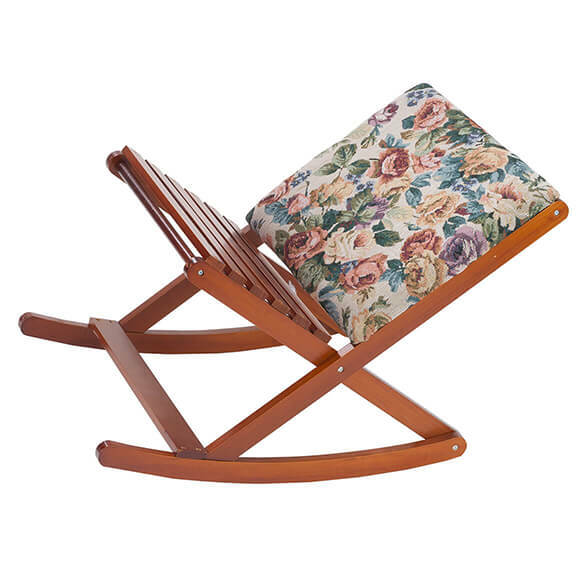 Looked exactly like what we needed to go with our Rocking Chair. Also, read the reviews which were excellent. For legs comfort and better circulation. My mother is in need of one that she tried and she loved it. I happened to find it in this catalog. I have Diabetic Neuropathy & my feet swell. I believe this will help the swelling & pain. It looks well built & the price is very reasonable. Footrest for my mother to help with her legs swelling. 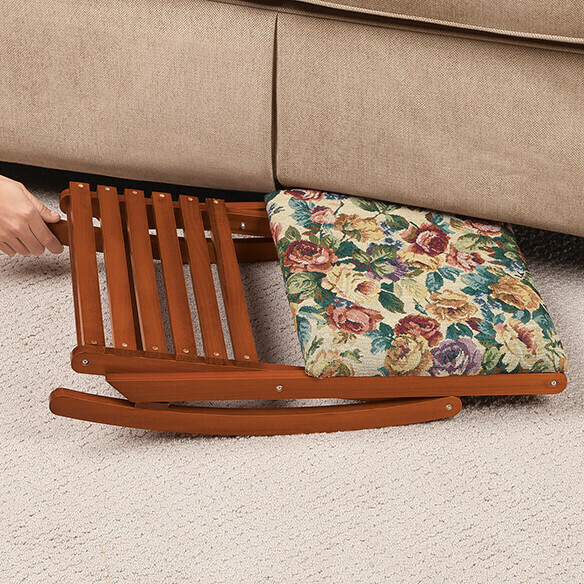 Used to help elevate my mother's legs in a comfortable way. Needed for my comfort chair and circulation.